I hate spiders...and I mean HATE!!! This one is different though! I had a blast creating this one! I used the spider web stamp and my Stamp-a-ma-jig (the tool that lets you see exactly where your stamp will be) to do a complete circle of the web. I went over the lines coming out from the center with a black Sakura glaze pen. 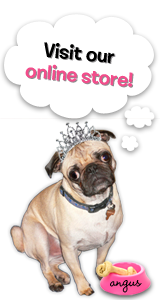 The sparkly parts of the web have Stickles in icicle on them (a very thin line). The spider is actually fuzzy and cut from a piece of designer paper! I used a fuzzy fiber to hang it from. His eyes are just red sticky gems. All the stamps are from The Rubber Cafe'. Hope you enjoy it...I sure did! 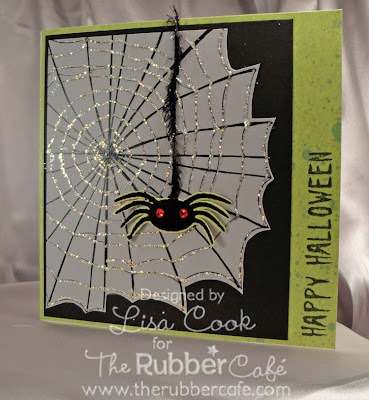 Spider web "You Need to Dust"
Such a perfect Halloween card. FANTASTIC job!!!! Great card...I love your spider web.